Let’s face it: kids’ beds can be boring. But here’s a more important question: should they be boring? I don’t think so! You kid’s bedroom is a private sanctuary, and, for my money, it should be a place where he or she can not only sleep–but a place to have fun. 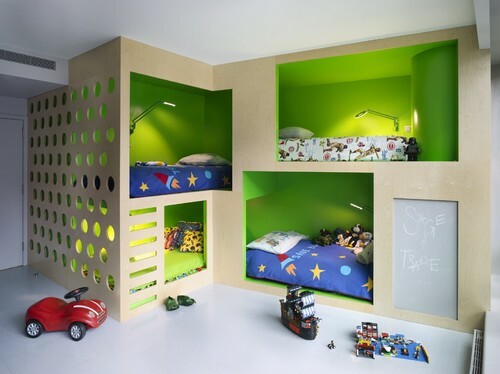 In that spirit, check out these amazing kids beds that push the limits of design. Not only pushing the boundaries of design, this spectacular coach is custom handcrafted and features real gold leaf accents. 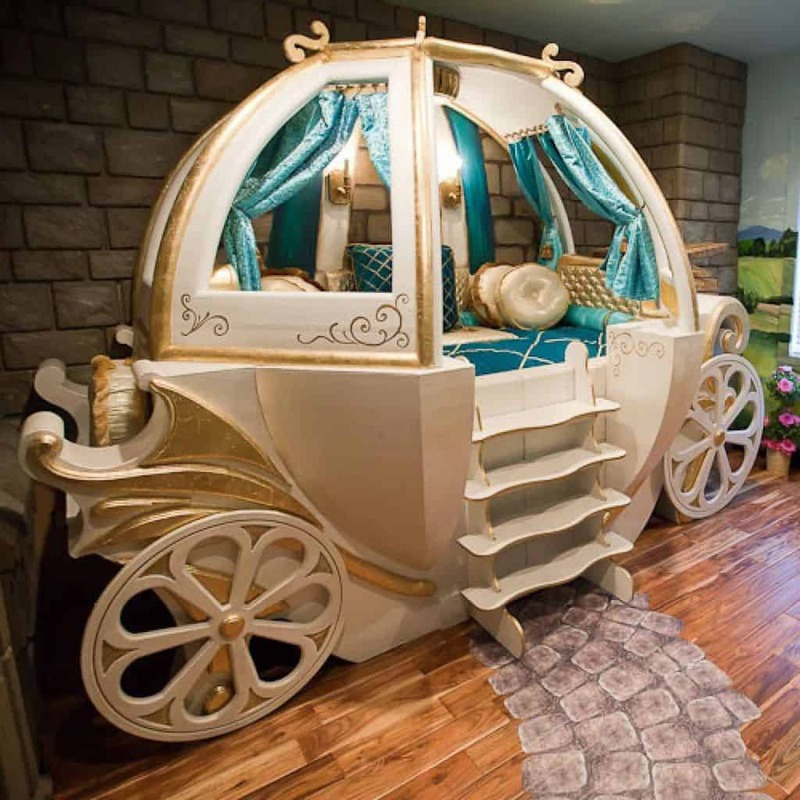 This classical masterpiece will transport any precious little lady into the sweetest fairytale dreamland. Appealing to the inner camper in every kid, this Trendy Tent Bed is just right for fantasy camping in the bedroom. Available in 18 colors, this sturdy tent also comes with the drawer under the bed available in a matching or contrasting color. The imaginative design of this cool wagon bunk bed is stylishly enhanced by its delightful colors. With lots of built-in storage, this Cool Blue Wagon bed features two drawers behind the wheels, a shelf on one side, and a desk on the other. With an elegantly simple design, this modern Caravan Bed features plenty of storage, a personalized license plate, two light reflectors, and the door can be hung on either the left or right side. This bed seems to have arrived straight from an enchanted forest. Magically growing with the child, the safety railings are removable, and two built-in storage compartments offer plenty of space for hiding secret treasures. 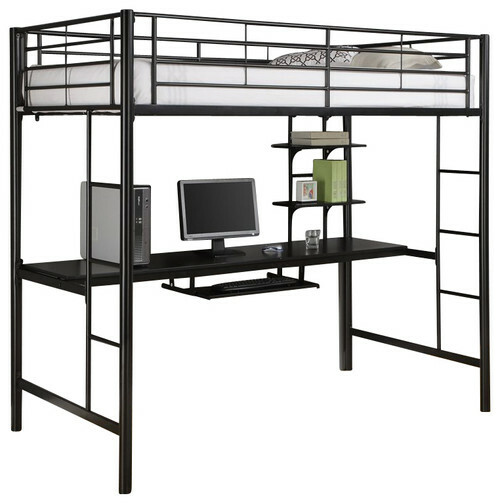 A contemporary design combining elegance and function, this durable steel-framed bed is great for saving space. With keyboard tray and storage shelving, this Elegant Black Loft with Workstation conforms to all consumer safety standards. Inspired by the Scandinavian environment, this aesthetic fantasy is created by Gudiksen Design for Mimondo. As functional as it is stylish, the Modern Wave2 Bunk Bed proves that even a child’s bed can be fertile ground for aesthetic innovation. 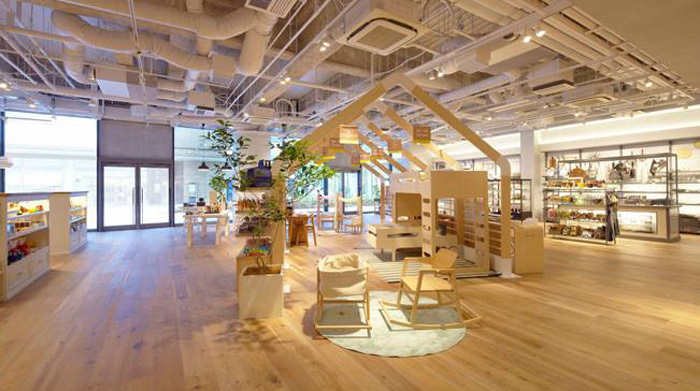 This modern, playfully designed combination of children’s beds represents the nexus of Tokyo and Netherland design ingenuity. 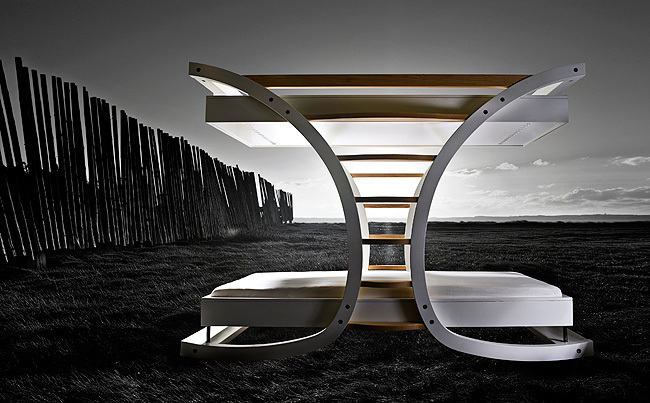 The bunk bed tops the bar with its creative beauty and playful elements. The toddler bed is equally modern, playful, and appealingly functional. 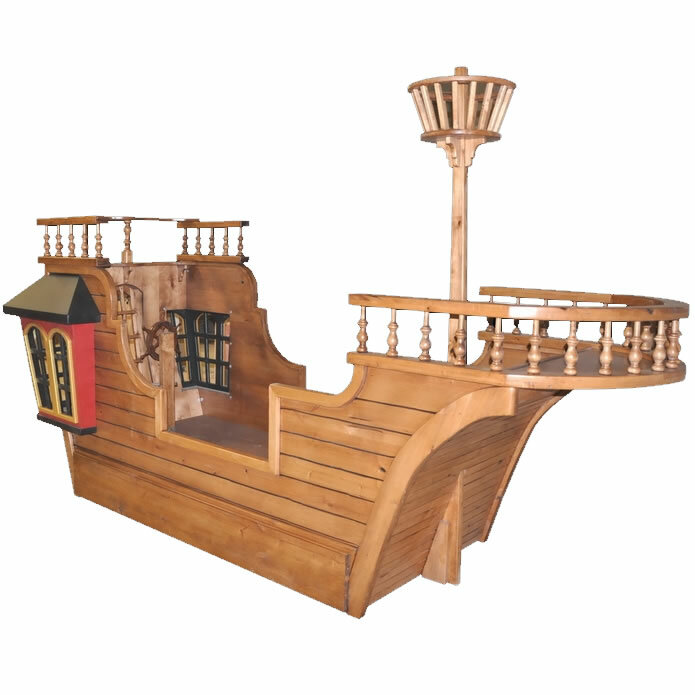 This is the dream ship for any fantasy pirate, as ready for delightful hours of playtime as it is for comfortable sleeping. There is even a trundle available to extend the sleeping quarters for sleepover parties. With a twin mattress in the loft, this creative Tiki Beach Hut Bunk Bed accommodates either a full or twin size mattress on the ground floor. Trimmed in trendy, sustainable bamboo, this exciting bedroom furniture is available in a delightful variety of colors. A wildly beautiful creation, this Elephant Jungle Bed is perfect for any child’s dream safari. Fully adaptable to the child’s needs, there can be two beds, a lower bed and a play loft, or a loft bed and a play space below. 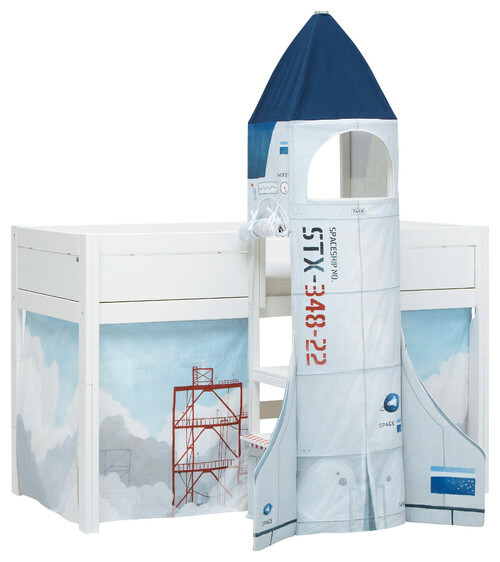 Complete with spaceship curtains to cover the imaginatively designed space station under the loft bed, this solid pine Rocket Spaceship Bed will boldly take your child on an outer space adventure every night. This creative design is as functional for fun as it is for sleep and storage. 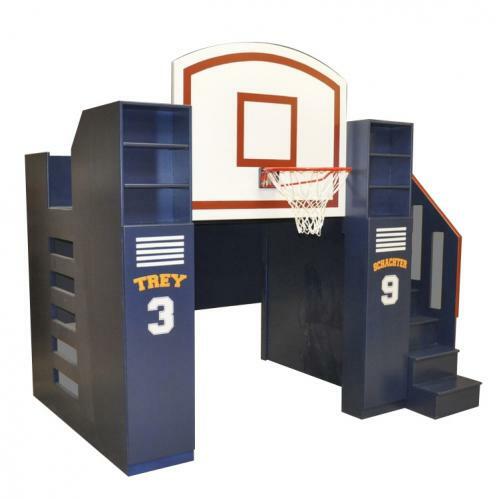 Team lockers conceal shelves, and locker faces can be personalized. What’s more, official team colors from any NBA team, favorite college, or university team are available. The cleanest design ever in minimalist children’s beds, these floating twin beds are tantalizingly sleek and modern. Floating magically above the floor, nothing will every get lost or go hiding again. This is the coolest centerpiece any kid could want in his bedroom. With a sleek and racy design, this Hot Wheels Bed features flames flying from the sides, gold-colored wheels, and a personalized license plate. Just right for a junior fireman, this playfully designed Fire Truck Bed is colorful, safe, and cozy. It’s a delightful play place after waking from a daytime nap or a perfect vehicle to deliver a good night’s sleep. Some kids will always dream bigger than others. For the child who loves his big equipment toys, this great big, official yellow Dump Truck Bed will bring hours of imaginative playtime and constructive fun. Ingeniously designed with the popular movie in mind, these creative Despicable Me Beds are fascinating for any kid. Sleeping cozily in this fun bed, it’s easy to command a dream army of little yellow minions all night long. It may be difficult deciding which is more adorable when you see your little girl sleeping in this cute Pink Sports Car Bed. Driving to the shopping mall, the beach, and maybe even the race track, she will spend hours of exciting playtime in this pink little beauty. With a curved staircase, a built-in armoire, bookcase, and cool castle towers, this Princess Castle Bunk Bed will delight any young princess. Customizable with any favorite color or faux-painted features, it can also come unpainted for DIY fun. This lovely Rose Loft Bed offers the perfect answer to every teenage girl’s dream. With gray polished and powder-coated steel accents, this solidly designed bed is appealingly creative and chic. Modern, sleek, and colorful, this All in One Bunk Bed offers generous built-in space savings. With such a well-designed sleeping and study space, it will be easy convincing your kid to get his homework done. Perfect for the kid who loves lots of colorful personal space, this alternative All in One, II design illustrates how easy it is to pull everything together in a modern, appealing fashion. This ingenious design offers a chic, clean look with a generous wardrobe and full set of drawers built-in under the loft bed. With such a trendy use of space, any teen would be proud to own this great bed. 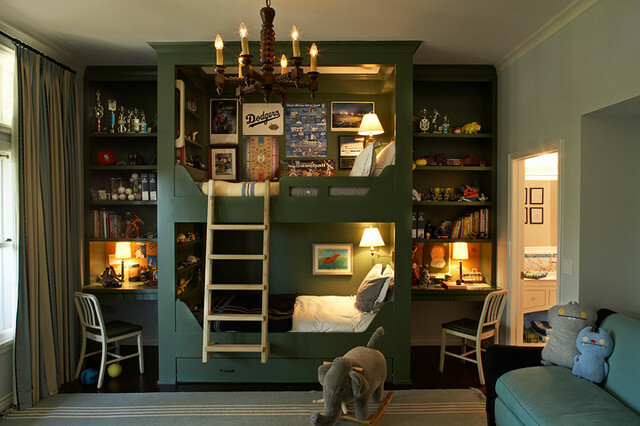 With this exceptionally well-designed Dreamstation Bunk in their room, two teens will never feel cramped together. Offering generous privacy and stylish storage, this classic design takes advantage of the separate personal spaces created by positioning the bunk in the center. This contemporary masterpiece is definitely a design boundary buster. Providing awe-inspiring personal sleeping space for four rowdy kids, the Bohemian Boys Loft Condo ingeniously leaves most of the room free for playtime and other activities.